BRITISH designer Henry Holland has attended his first Holi party and cana��t have enough of our a�?rani pinka��. Just a couple of hours in the country (his first visit here) and hea��s neck deep in either interviews or shopping plans. The photo shoot for the capsule collection he designed for the e-store, Koovs, involved Holi colours and pretty models. And while he has managed to get the colour out of his trademark quiff, hea��s not complaining a�� a�?a�?I love the weather, the humidity is working for my hair, and the coloured powder is like a dry shampoo,a��a�� he chuckles. 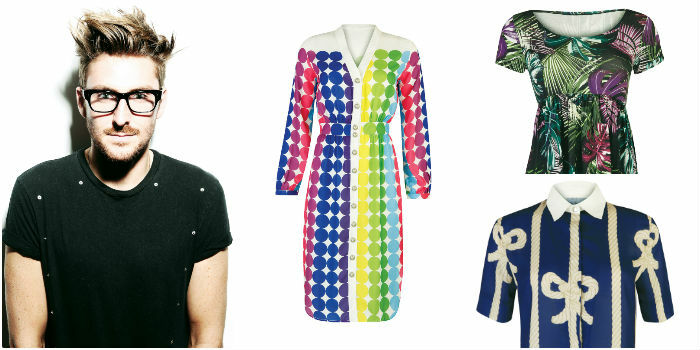 The designer who burst upon the fashion scene back in 2006 for his cheeky slogan tees, has a reputation for quirky collaborations, one of them with the retail chain, Debenhams. Today, he designs everything from clothes and hosiery to eyewear and patterned false nails, his tweets have a huge following and he has bravely taken the plunge in India. a�?a�?I cana��t set up a store here but a capsule collection helps me understand the market. I hope to be back,a��a�� he is refreshingly honest. ?A� 3D printing is a concept that blows my mind, and our gold jewellery with this technlogy should be ready in 2015.